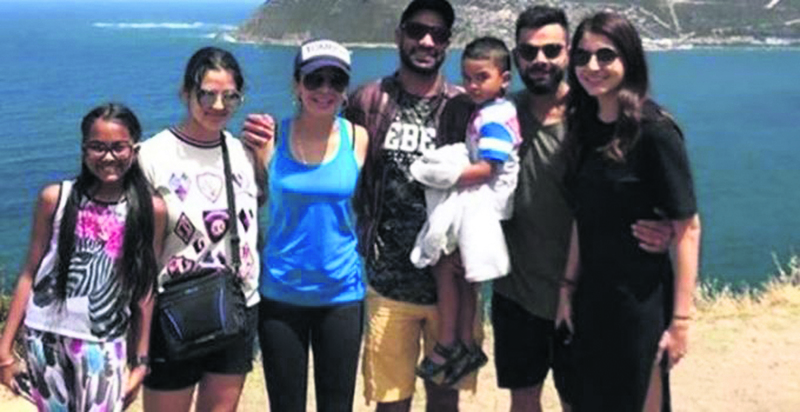 The Board of Control for Cricket in India (BCCI) is finding it difficult to manage things logically while the cricketers are travelling with their wives, children and nannies. Earlier the BCCI has allowed the player to have their families with them for two weeks during lengthy tours. Sources said that the BCCI had faced some problems in Australia – like transporting the players, support staff and family members whose number was close to 40. The board hired two buses at times but still found it difficult to manage the numbers. Indian captain Virat Kohli had asked for WAGs to be allowed on overseas tour. BCCI had allowed wives to stay with their husbands after first 10 days of the tour. The board also tried a ‘family period’, wherein the families visited the players for a set period of time, which varied from tour to tour. While the visit of families is not costing BCCI much because the cricketers are footing the bills of their families, it’s turning out to be a logistical issue for BCCI. “If the team is travelling with less number of members, it is easier to manage. It’s easy for BCCI staff to make off field arrangements. Right from booking tickets to rooms, the entire management of handling the arrangement is with BCCI. It would be a logistical nightmare if this arrangement – of families travelling with the players – continues to be there in England for the entire duration of the World Cup,” a BCCI official said. Taking a cue from the recently concluded Australian tour, BCCI isn’t happy that a few Test players who weren’t even regulars, travelled with their extended families for two weeks. “It is difficult to manage all of them together. There is also the problem of arranging match tickets for their families. It has to be regulated. This is not a question of money,” the official added.